The General Bathymetric Chart of the Oceans (GEBCO), the archetype of Ocean Mapping at a world-ocean scale, celebrated its centenary last year with the release of an updated and greatly enhanced Digital Atlas. This CD contains gridded soundings and contours, the culmination of one hundred years of successful blending of hydrography and oceanography. This reflects the creative co-operation of both organisations such as the International Hydrographic Organisation and Intergovernmental Oceanographic Commission and those working side by side at individual level: hydrographers, geologists and geophysicists each contributing their different skills. This major accomplishment also represents the first step into the next hundred years. In this paper the new chairman of the GEBCO Guiding Committee attempts to envision how coming changes in science and technology, organisations and society, as well as some conceptual shifts, will influence GEBCO and, indeed, all seafloor mapping over the next few years. Data will continue to be collected from surface ships and to some extent by submarines. Estimates are that even with the swath widths afforded by MBES it will take some 800 ship-years to cover the entire seafloor, from the 25m contour to the deepest ocean. For multidisciplinary cruises bathymetry will seldom be the high priority: indeed, there are cruises on which the only sounder operated is the ship’s navigation sounder. There is a move away from ‘expeditionary’-style cruises towards repetitive measurements of the same point to collect time series; the latter will not produce much new bathymetry. Some deep-water data collected by military vessels during the Cold War has been released into the public domain and there is hope that this will continue. 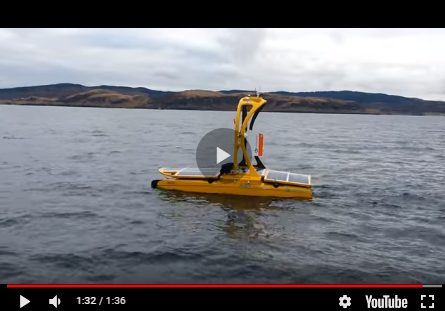 Robots, both tethered and autonomous, are already being used for detailed surveys and the use of drifters, floats and in situ sensors is increasing. The incorporation of GPS means that positioning of the research vessel on the face of the earth no longer presents any problems. There will be a transition period, hopefully short-lived, wherein mapping areas of the ocean will require a combination of pre and post-GPS positioned data. The National Geophysical Data Center in Boulder, Colorado, USA, operates a worldwide digital data bank of oceanic soundings on behalf of the IHO. In the future, bathymetric information may be locally managed and made available on servers maintained by those who ‘own’ the data, creating an even greater need for quality control and standards, a role that NGDC currently performs on its data holdings. GIS is rapidly evolving from a field that required specialised training into a general type of software that professionals in fields ranging from aquaculture to coastal zone management are able to use easily, and they will want bathymetry as one of the GIS layers. As a major driving force in mapping, the internet is just coming into its own. The internet will go to sea: already being developed and deployed on a limited basis, it will not be long before data can be moved from instruments aboard ships to shore-based labs, and vice versa, quickly and easily. Multi-beam systems are in common use, but the speed of the vessel remains a major limitation One consequence is that for some time both single-beam and MBES data will co-exist and methods of combining them will have to be developed or perfected. ‘Automatic’ seabed classification based on acoustic backscatter, which is related to bottom composition and texture, is being introduced. Altimetry, which maps changes in sea-surface height and uses it as an indicator of undersea topography, is moving towards the resolution of shorter horizontal wavelength features. Altimetry can be used to unify and interpret acoustic data where this is widely dispersed and randomly orientated and will undoubtedly have a significant role in the future of world-scale bathymetric mapping since it is the only cohesive, single-instrument source of data for the deep oceans. The entire concept of scale is changing with the introduction of GIS and electronic charts. In these, in order to see more detail one simply ‘zooms in’ on an area of the same map. Users assume, sometimes incorrectly, that the underlying data will support the displayed scale of information. The concept of ‘edition’ developed during the age of paper printing is changing and some form of constantly updated map will evolve. Achieving this will require energy and time but there are no serious technological barriers. Non-technical issues yet to be resolved, for instance how to apply the principal of peer review, will have to be addressed. Within the area of seafloor ensonified during a multi-beam survey there is no need to interpret the shape of the seafloor and express it in contours as there was during the single-beam, widely-spaced track days. There is so much data that it creates the contours itself. Between multi-beam passes there will still be a need to interpret the seafloor from single-beam tracks, and ways may be devised to use, in the areas between tracks, the extra information provided by the multi-beam. The United Nations Convention on the Law of the Sea will impact the entire field of Ocean Mapping for the next twenty years. Delineating the juridical Continental Shelf requires a large amount of seafloor mapping and interaction with the Commission on the Limits of the Continental Shelf (CLCS). The CLCS Guidelines will influence data collection over extensive areas for the next ten years or so. Mapping the Foot of the Slope may refine our ability to discern small features at great depths and accelerate development of statistical or mathematical models of the seafloor. Isolated elevations adjacent to continental margins will have to be examined to determine their origin and the nature of some ridges will require further investigation. There will be a need to maintain a supporting database and infrastructure that could be examined by the CLCS when they consider a submission. Under UNCLOS, the International Seabed Authority (ISA) is the organisation through which States Parties to the Convention shall organise and control activities in ‘the area’, the seabed and ocean floor beyond the limits of national jurisdiction. The ISA has issued 15-year contracts to various groups to explore certain patches of the seafloor with a view to recovering manganese nodules. The contractors have done varying amounts of work in their areas and collected different types of data. It remains to be seen how quickly this data comes into the public domain. As part of the movement towards environmental protection, many states are declaring special marine areas in which human activity will be limited. Establishment of these areas, and the research that will be undertaken within them, will lead to detailed mapping of localised areas. datasets will be continuously updated. provide a forum for facilitating and for creating linkages.